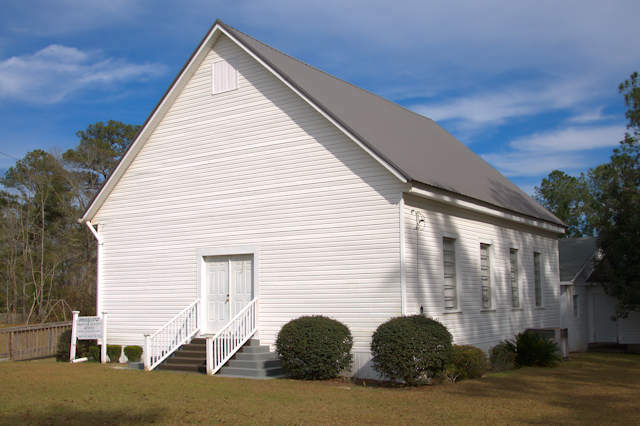 This historic congregation was established on 28 August 1828. 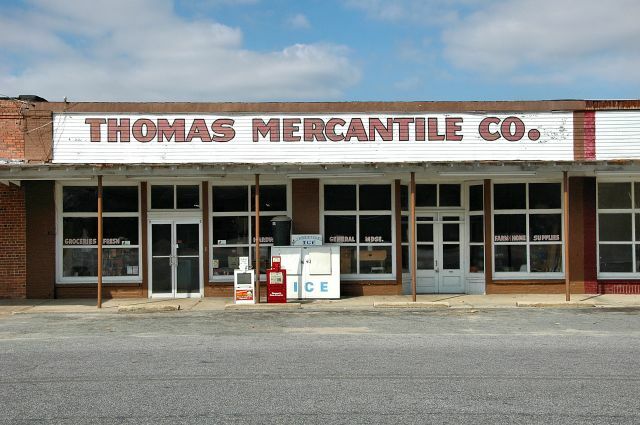 Amazingly, this store is still in business. They’re closed on Sundays, but otherwise, how wonderful to see a small business like this still in operation. 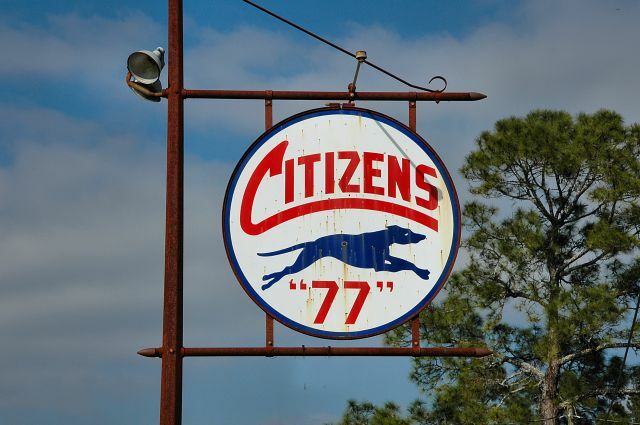 Citizens Oil Co. was formed in 1936 and was a franchise of Moore’s Greyhound brand. The greyhound was later incorporated into the Citizens logo and in 1951 they merged with Speed Oil Company of Atlanta. Dealer stations used that Citizens 77 branding. [The sign was lost during Hurricane Michael in 2018].